Accessing data real time and quick turn around of VAT and accounts using the software is at the heart of our client engagement strategy. Both we and our clients share the same set of data which can be accessed any time, any place and anywhere with an internet connection – via PC, tablet or iphone/android. Online accounting software is considered by many to be the way that the industry is heading because it enables businesses to keep a constant eye on their company’s financial position without having to install costly and bulky software direct onto their computers. 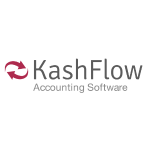 VAT, accounts and tax returns can be submitted straight to Company House and HMRC through the software. We have teamed up with a handful of providers to offer a range of choice, functionality and prices to our customers. All products enable you to raise and email invoices – no more offline word documents. All come with bank feeds – no more manual entry into excel sheets. These two features alone will save you time and free you to do something less boring instead ! So, why don’t you take the plunge and try one of them for free? You can contact us to discuss your needs. We have access to reduced pricing. More time for you! Less data entry! Data securely backed up! Real time submission ! AND reduced pricing available to all our clients. What’s not to like ????? It’s worth a try!